﻿ EURO 2012 » Euro2012 Failure? EURO 2012 > Euro 2012 > Euro2012 Failure? 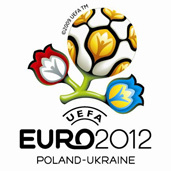 It’s been over 2 years since Poland and Ukraine were chosen to host the Euro 2012 championships. Politics and officials assure us that everything will be ready on time. – there will be highways, airports, and fast railways and the cities-hosts will be able to prepare well for such prestigious event. We have visited 6 cities – candidates which are to be the hosts of Euro 2012 : Warsaw, Cracow, Wrocław, Poznan ,Gdańsk, and Chorzow we imagined ourselves in the role of a tourist-spectator who came to our country – as if the championships were to take place at the moment. Once we came by plane, another time by train or car. We tried to find the stadium, use the public transport and find a suitable accommodation – preferably in the city centre and not to expensive. On the basis of this we created a detailed report concerning each of the cities preparing themselves for organizing this event. What was the result ? Disastrous ! Despite the fact that UEFA Has not yet made a final decision the question WILL we prepare the football championships should be reformulated to HOW will we prepare them? 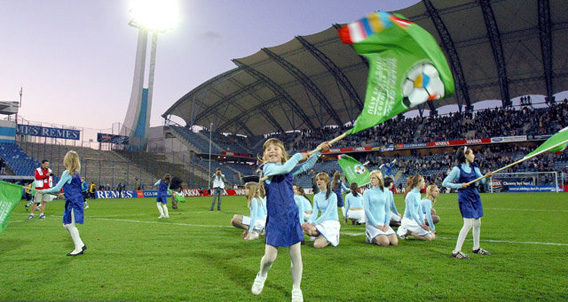 Will Poland be able to benefit from the organization of the Euro 2012? It is not a matter of a rapid commercial profit- neither country organizing big sport event did ever make it but it’s a kind of prestige and the opinion of the country that is well-organized, tourist-friendly and worth visiting. To deserve such an opinion it’s not enough to have renovated facades by the medieval square market gothic churches, sandy beaches and a glorious history. There have to be airports , railways, roads, parking lots, hotels, tourist information, reservation systems, efficient public transport- we have to be able to sell our attractions and not to let the tourist after getting off the train to walk around the platforms to find the exit. Let’s see where we are..
Apart from the airport, standing on a respectable European level, the rest of the infrastructure is in total chaos. It seems to be the only city in Poland where the tourist doesn’t bounce from a wall of lack of information. But its position is decreasing. The thing that is immediately visible and refers to the whole country is the impression that we missed two years ago. The report of the Sport and Tourism minister about the status of preparations is gradually bigger (the first one 90 pages, the next -260 pages and we are afraid of the third one). This would be enough if it wasn’t for the fact that the list of strategic investments is shrinking all the time, moreover it remains only a list which was prepared two years ago. The thing that joins all the cities is the wide-spread chaos. The positive thing are the airports which generally fulfill the European standards. But after the departure the drama begins – it is not known where the buses leave (apart from Cracov there is no way to find other means of transport) it is not known how much the ticket costs, it’s hard to get to the hall from the platform ( here the winner is the Central Railway in Warsaw) it is not known where is the tourist information and even if we eventually find it, they won’t tell us much or it is closed. A total lack of information in foreign languages is another , joining the majority of Polish cities ( and again with a small exception of Poznan) element. This feature is so striking that is hard to believe that in the cities where the significant part of the city budget comes from tourism, such problem can be neglected to such extent. The whole present organization of Euro resembles a somewhat funny story written in a novel titled ‘Captain ,I mean’ written by Karol Olgierd Burchardt when the officer checked the cadet’s cabins ,walking around the ship and asked in bossy way :’Is order kept ? Obviously the answer couldn’t be ‘no’ – it meant a penal day on duty. However, when the answer was ‘yes’ , the officer checking the cabin would always find a place not carefully cleaned – and the process of clearing started all over again. In the end ,more clever cadet came up with an ideal answer. On the sound the question ‘Is order kept?’ they replied quickly ‘It is made itself!’. The officer was knocked off. We have a similar situation, the answer to each question is ‘in progress’ and to tell the truth we are constantly in a state of suspense. It is difficult to tell if the ‘paper plans’ are be completed on time. To make it clear we do not intend to spread defeatism. It is just how the Polish cities look now. The situation is bad, but not dramatic. There is still some time left to fix the defects. We will be carefully observing the preparations for Euro, thus the proper organization of the championships will turn out to be good for all of us. why must we go by what the lab peoople say?